NEW! 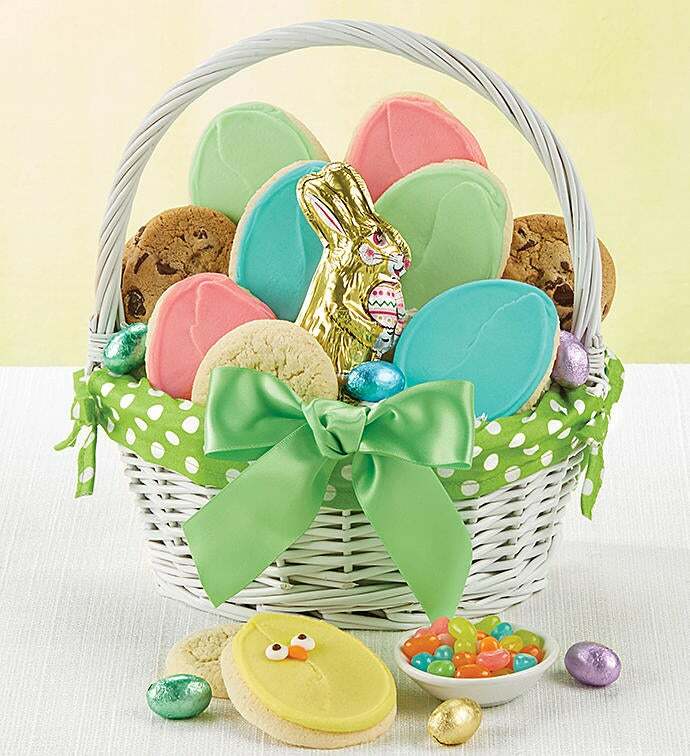 Surprise all your very special friends and family with this outstanding Easter basket! 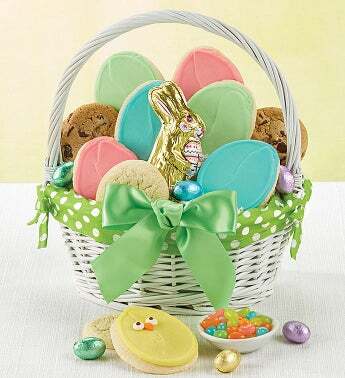 Each basket includes our buttercream frosted egg and chick cut-out cookies, snack size gourmet cookies, a chocolate bunny and jelly beans and foil wrapped chocolate Easter eggs. Our Easter basket are also available with a personalized hangtag! Add your message, photo or both for only $5!